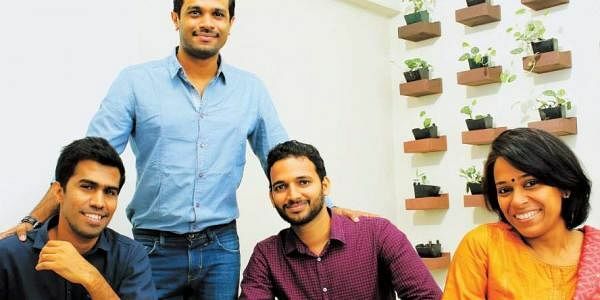 KOCHI:Even in the deluge of new apps that claim to make life easier by ensuring hassle-free movie ticket booking or online food orders, no platforms did the same for scheduling appointments with doctors. It is this lacunae that BookNmeet, a startup, tries to fill. “The platform is a search based listing of professionals and enables the customer to directly communicate and schedule an appointment with our featured profile,” says Renjit Menon, founder and CEO of BookNmeet. One of the highlights of the platform is that it is not an app, which you need to download and would take up space even when you don’t need it. BookNmeet can be opened in any web browser. BookNmeet has been launched in Kochi. After a trial run period of 60 days, the platform would be expanded on the basis of the feedbacks from doctors and the users. “Currently close to 15 doctors in the city have signed up for our services. We will increase the number of doctors on the platform in the coming days,” says Renjit. It is one of the startups incubated in startup warehouse in Info-park campus, Cochin as part of 10K Startups initiative of NASSCOM. Apart from Renjit, the team comprise of Prasanthi Nathan (co-founder and CTO), Sudheep K R (product development) and Jamsheer Mohammed (product architecture). Going forward, BookNmeet intends to bring in more professionals into their fold. “The model can support any professional who has many appointments from the public on a daily basis,” says Renjit.